1. Fill a cocktail shaker halfway full with ice cubes. 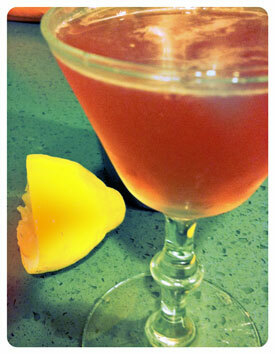 Add the Averna, cherry brandy, Bénédictine, and lemon juice. Shake well. 2. 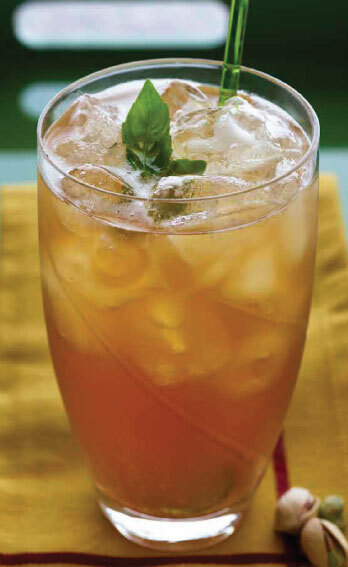 Fill a highball glass three-quarters full with ice cubes. Strain the mixture into the glass. Top with chilled club soda, filling it almost to the top. 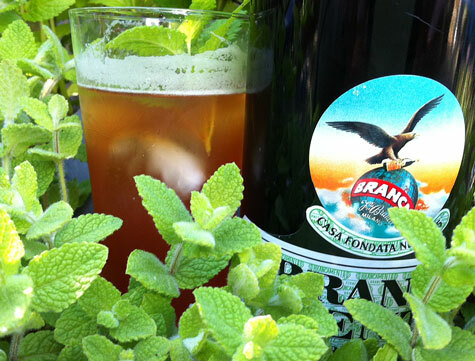 Gently smack the basil leaf or leaves and let them rest on the drink’s top. Ah, springtime. It’s when the flowers are blooming, everything is starting to wake up (in a way), the heavy coats are dropped to the ground to be replaced by lighter coats, or hoodies, even, and the drinks are flowing like the pollen which, really, I’d rather avoid if possible. It’s also the season (why not?) for remembering past loves, from years gone by, and picturing those idyllic springtime moments with said past loves, when you walked through fields of flowers, hand-in-hand, never knowing that one would someday be forgotten. Here, of course, the past love I’ve talking about is this delicious drink, which if I remember right once won me a mixing glass in some contest or other. Happily, unlike some past love, this one is easy – and smart – to rekindle. It is springtime, after all. 2. Strain through a fine strainer into a cocktail glass. Laugh heartily. It seems like spring should be in full force now, right? If, wherever you are, it doesn’t feel like spring, then, hey, knock back a couple of these springtime delights, and you’ll feel the presence of spring in your soul, no matter what the temperature and sky shading. Why, you ask? It could be the gin (I like a gin with solid juniper here, but a few orange and floral notes sure won’t hurt either), or the lemon juice or grenadine (use homemade for gosh sakes) with their tangy tangs, or even the fruity garnishing. But I think, even moreso perhaps, it’s the Yellow Chartreuse (you may have guessed I’d say that from the title)! 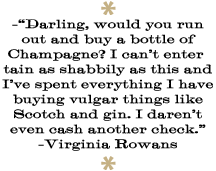 With a recipe of 130 plants (a recipe known only to two monks, who also are the only two who know the secret macerating and aging processes), it’s surprisingly smooth, delicate almost, a little sweet, and with lovely botanical and herb layers. A perfect partner for your springtime sipping. 1. Fill a cocktail shaker halfway full with cracked ice. Add the gin, lemon juice, and grenadine. Shake very well, until the shaker gets frosty. 2. Fill a goblet three-quarters up with cracked ice. Strain the mixture over the ice. Stir briefly. 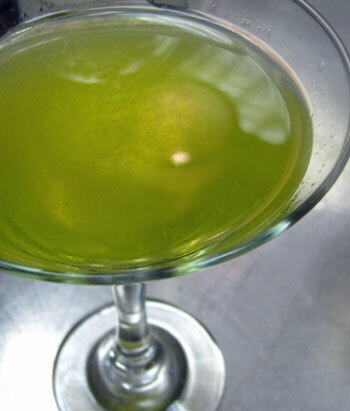 Float the Chartreuse over the ice, and stir again briefly. 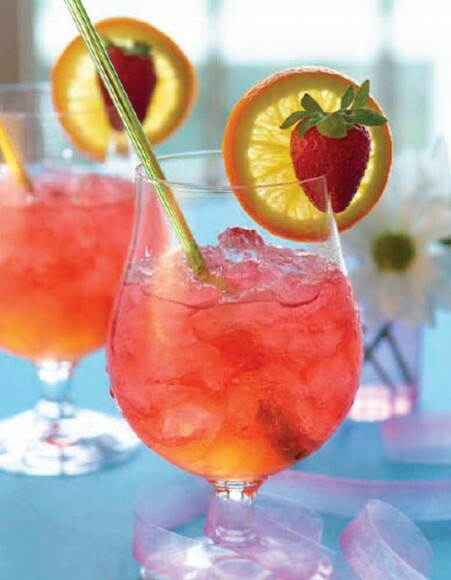 Garnish with the strawberry and the orange slice. Earlier in this wonderful month (just a week ago! 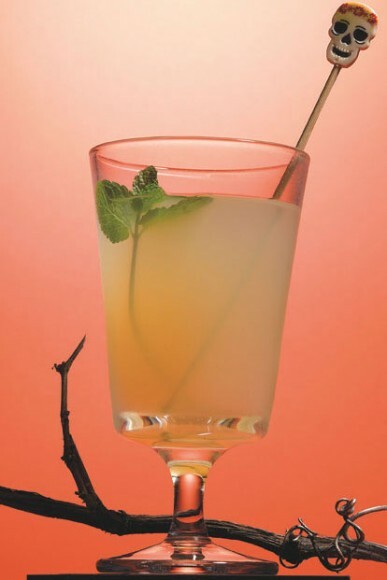 If you’ve forgotten), I featured a drink here on the Spiked Punch, In The Treetops with Delamain L’Aigle XO Cognac. If you missed it, go check it out, or be sad – you don’t want to be sad, right? There, I talked about Cognac-as-cocktail-ingredient, and then, when thinking it over, decided I should back up the talk with a few more cocktails boasting Cognac as a base, and decided also to go next with one of the definitive Cognac cocktails, the classic Sidecar. Created overseas during Prohibition, the Sidecar was either first crafted at a bar in Paris or by an army colonel who drove around with a sidecar often. Or someone else entirely! There are two Sidecar schools, but I lean towards the one that leans heavier on the Cognac and is less sweet. This road works even better when you’re able to use Hine Bonneuil 2005 Grande Champagne Cognac (a bottle of which I received in the mail recently, bless my lucky stars). 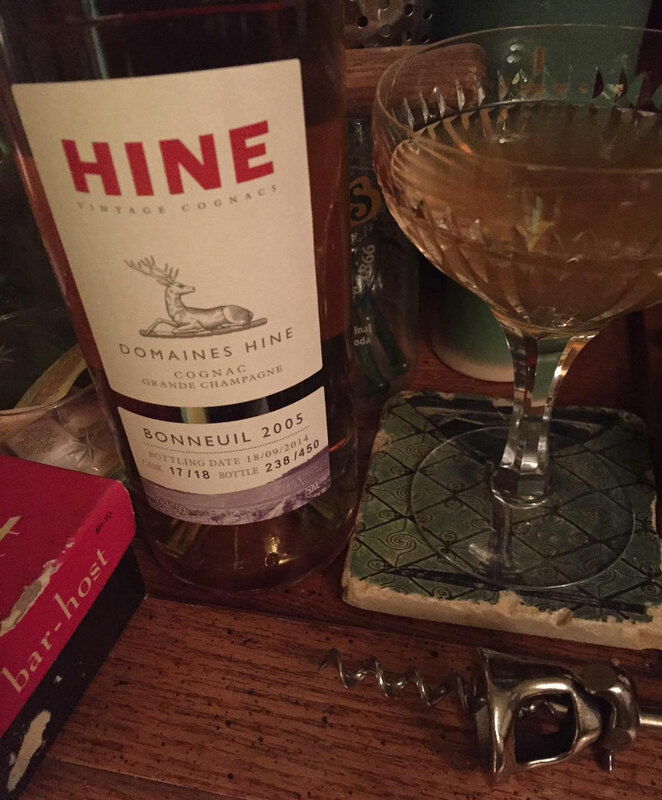 Made from Ugni Blanc grapes only grown on the Hine vineyards, this limited-edition (track it down, if you can) Cognac has a great fresh grape, fig, orange, and herb nose, with more fig, and then apple, spice, honey and oak on the tongue, with an echo of pineapple and citrus. Scrummy stuff. And, a perfect Cognac for the Sidecar, able to stand up to the lemon and mingle mightily with the requisite orange liqueur – here, I used a new one, made in my own Seattle, by Bernie Garcia, the owner of Moctezuma’s restaurant (it actually launches next week, but I figure you can wait a few days). 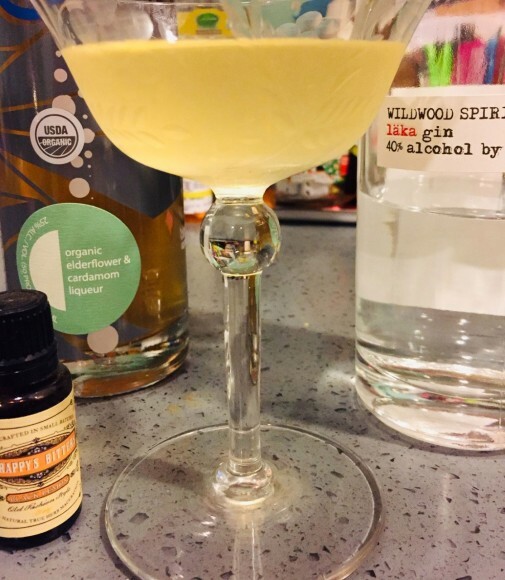 It’s called Grandeza, and it uses bitter orange peels, agave nectar, and a bit of vanilla in a memorable manner. All together, this trio combines into a cocktail that you won’t forget, one that begins with bright citrus and spice, buoyed by fruit, herbal, and more. Oh, I know that many (maybe even myself in the past), have said that using a really fine Cognac like Hine Bonneuil 2005, in cocktails, even classics like the Sidecar, is foolish. However! I think once in a while, high-rolling your cocktails at home to lift them into legendary status is a good idea. You only live once, after all. 1. Fill a cocktail shaker or mixing glass halfway full of cracked ice. Add everything. Shake gently. 2. Strain through a fine strainer into a cocktail glass. Don’t ride a motorcycle while drinking, but do sit in a sidecar attached to a parked motorcycle, if you want.